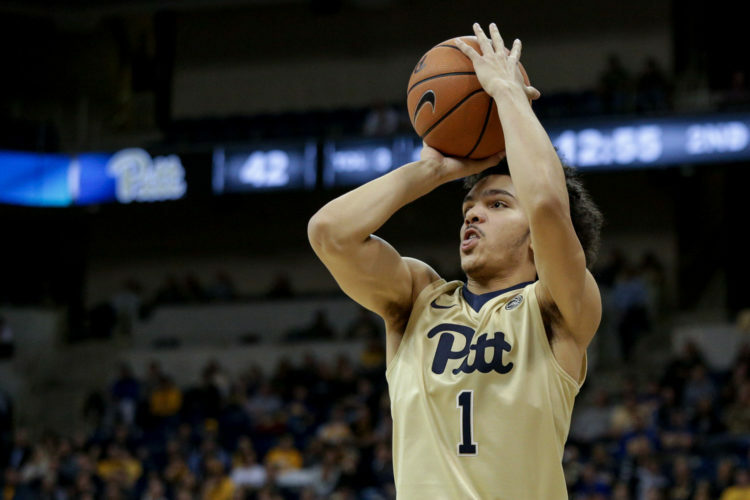 The Pitt men’s basketball team entered Tuesday night’s game with the same goal as the previous 12 — to get a conference win and avoid being winless in the ACC. Boston College — who went winless in the ACC back in 2016 — had other plans as they beat Pitt 81-58 in front of a paltry crowd at the Petersen Events Center. Boston College junior forward Jerome Robinson said this year’s Pitt team reminds him of the Boston College team that he played on that had an 0-18 record in the ACC two years ago. The Panthers (8-19 overall, 0-14 ACC) led the Eagles (15-10 overall, 5-7 ACC) by 15 points with 7:17 left in the first half. The lead wouldn’t last, though, as Boston College outscored Pitt 49-24 in the second half to keep Pitt winless in the conference. Pitt’s started the game 3-for-4 from 3-point territory with threes coming from first-year guards Parker Stewart and Marcus Carr. The Panthers held an 11-6 lead after just five minutes of play. Boston College struggled to find its shot to start the game. The Eagles went 4-for-17 from the field over the first nine minutes of the first half. They were led by junior guard Jordan Chatman, who scored six of the team’s first 10 points of the game. Pitt held a 19-13 lead with 8:30 left in the half and then proceeded to go on a 9-0 run over the next minute of play to take a 28-13 lead. The run was capped by Stewart’s three from the corner. Stewart led the Panthers with 11 points in the first half. “It seems like when we’re getting shots and everybody’s playing for each other that’s when we vibe as a team,” Stewart said. Pitt’s lead would expand to 30-16 before Boston College went on a run of their own. The Eagles outscored the Panthers 16-4 over the last six minutes of the first half and shrunk what was a 14-point deficit down to just two. The Panthers led just 34-32 heading into halftime. Boston College tied the game at 34-34 on its first possession of the second half. From there, the Eagles went on an 11-0 run to take a 43-34 lead before Pitt junior guard/forward Jared Wilson-Frame hit a three with 15:33 left in the game to end the run. The Eagles continued to dominate the half as two free throws from Robinson put them up 56-40 with just under 10 minutes left in the game. After trailing by 15 in the first half, the Eagles now led by 16. The Panthers fought back as two back-to-back threes from Wilson-Frame brought the Panthers within 10 at a score of 56-46. Boston College head coach Jim Christian called timeout with 8:30 left in the game. After the timeout the Eagles put the game away for good, going on an 11-4 run over the next three and a half minutes of play. Pitt first-year guard/forward Shamiel Stevenson missed a wide open dunk in the middle of Boston College’s run — a microcosm of Pitt’s second half performance. Pitt head coach Kevin Stallings said turnovers and rebounding were the biggest factors in Pitt’s struggles against Boston College. Stewart was the Panthers’ lone bright spot, scoring a team-high 16 points on 5-for-10 shooting, including a 4-for-8 performance from three. Robinson led Boston College with 27 points — 25 of which came in the second half. Pitt’s next matchup will be at Florida State on Sunday, Feb. 18. Tipoff is at 6 p.m.